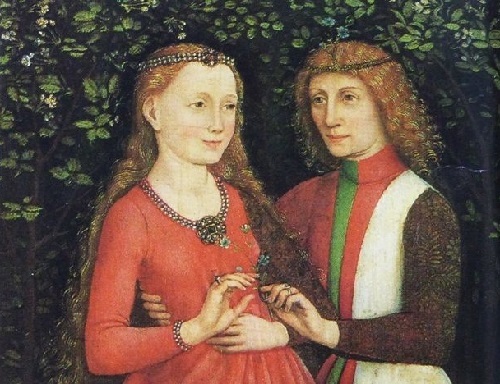 This rare medieval brooch from Vienna treasury depicts a couple in love – Mary (13 February 1457 – 27 March 1482), Duchess of Burgundy and Maximilian I, Holy Roman Emperor (22 March 1459 – 12 January 1519). 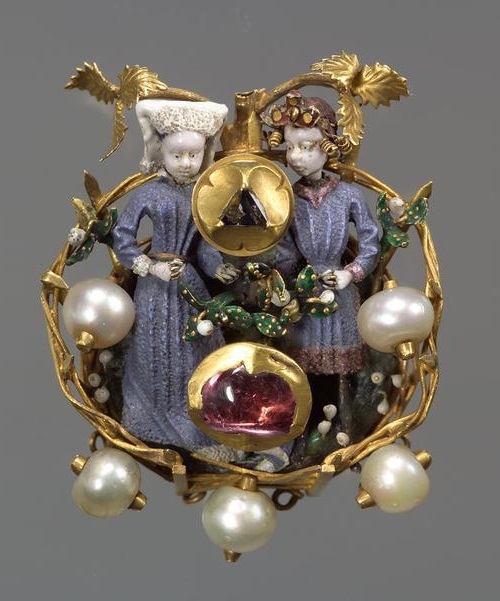 Mary and Maximilian love brooch was mentioned for the first time in the list of jewels of Emperor Ferdinand I, who likely inherited it from his grandmother, beautiful and forever young Mary of Burgundy. 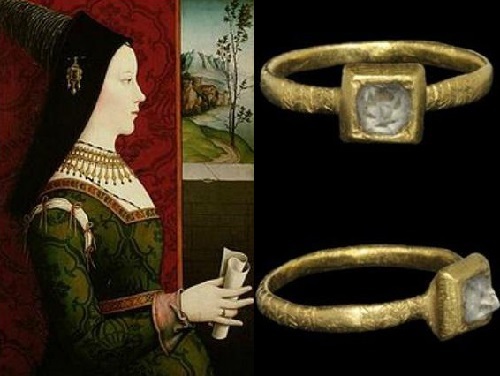 Mary of Burgundy (13 February 1457 – 27 March 1482) was the heiress to the vast and wealthy Burgundian domains in France and was often referred to as Mary the Rich. She lived a short but bright life, died aged 25. 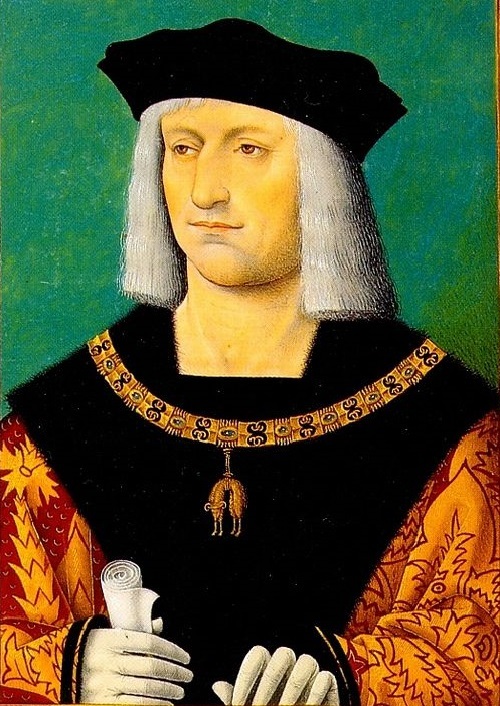 For 5 years of her happy marriage with Archduke Maximilian of Austria she gave birth to three children – Philip the Handsome, who died young, aged 28, daughter Margaret (10 January 1480 – 1 December 1530), and the youngest – Francis who lived only four months. 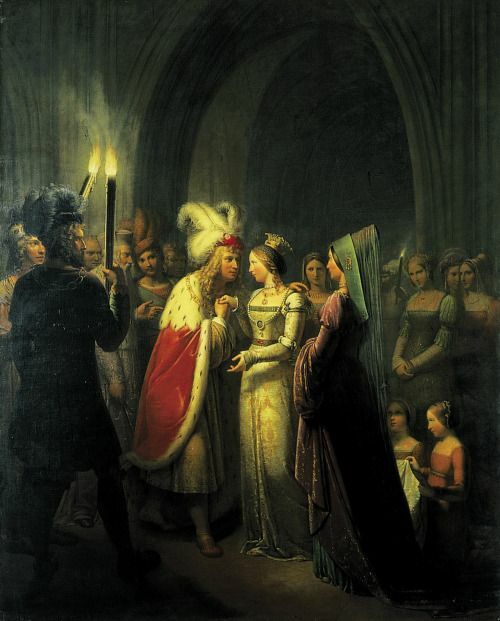 Maximilian, who is often referred to as the last knight of Europe, is thought to be the first in history to present his fiancee with an engagement ring. 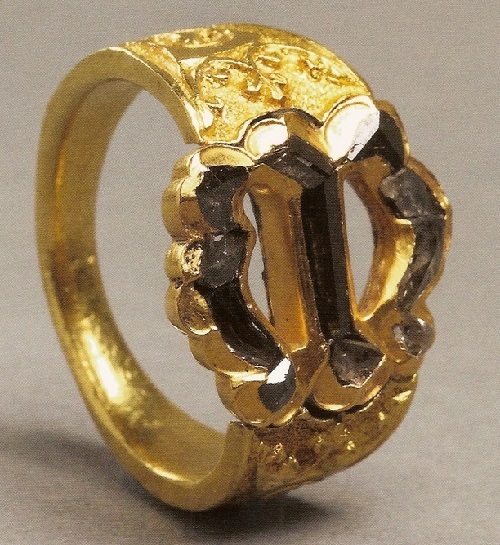 He gave the ring to Mary the day before the wedding. 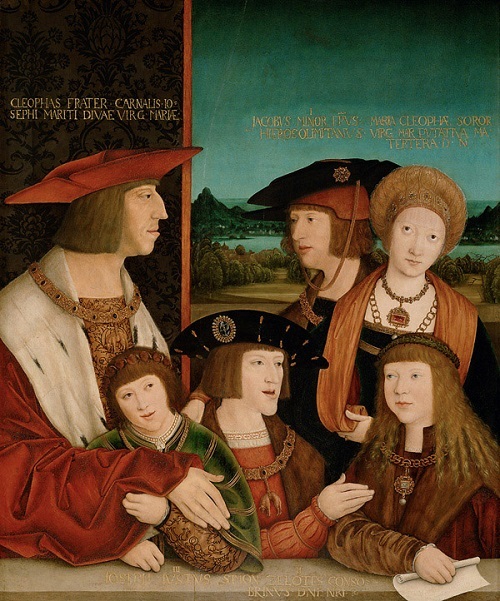 Emperor Maximilian I and his family; with his son Philip the Fair, his wife Mary of Burgundy, his grandsons Ferdinand I and Charles V, and Louis II of Hungary (husband of his granddaughter Mary of Austria). 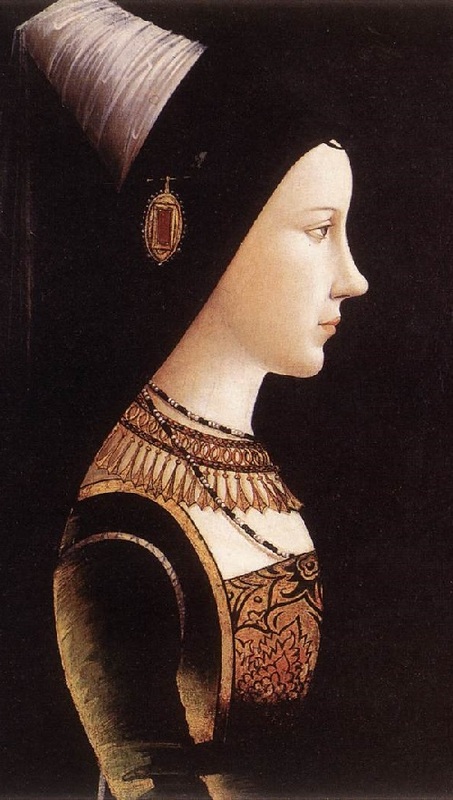 The only child of Charles the Bold and his wife Isabella of Bourbon, Mary of Burgundy was an educated woman, in addition to French and Flemish, she knew Latin, studied history. 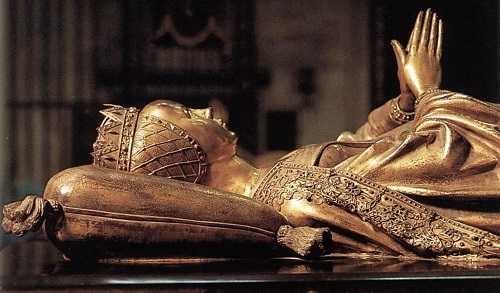 During her studies, she was especially fond of music. 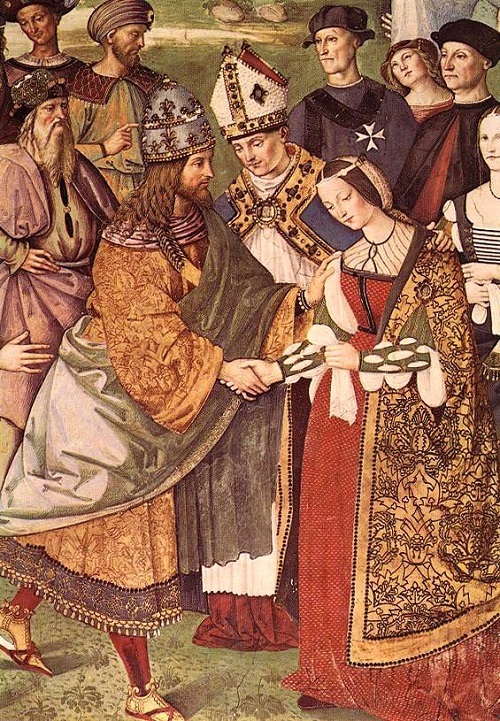 She was also an excellent horse rider, which eventually killed her.